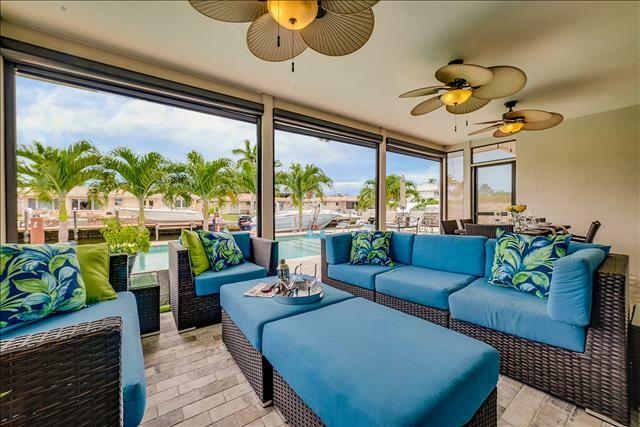 Casa Marina 4 Bedrooms 3 Bathrooms + Heated Pool Lounge Overlooking The Direct Intracoastal Waterway! Welcome to Casa Marina! 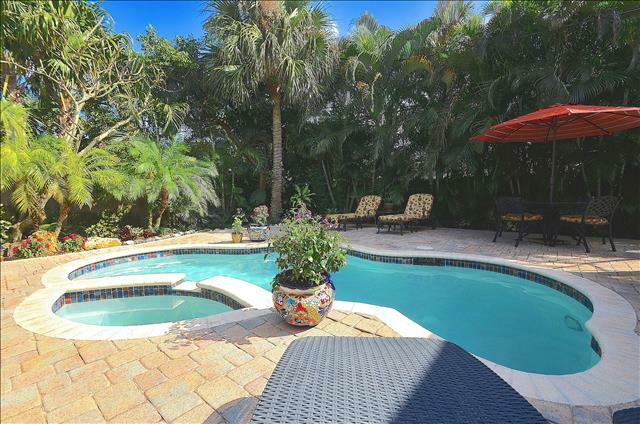 By The Sea Vacation Villas is pleased to offer this exceptionally private 4 Bedroom 3 Bathroom Direct Intracoastal Waterway (yes… the views are simply breathtaking)Heated Pool Beach Home getaway to the luxury vacation rental market. 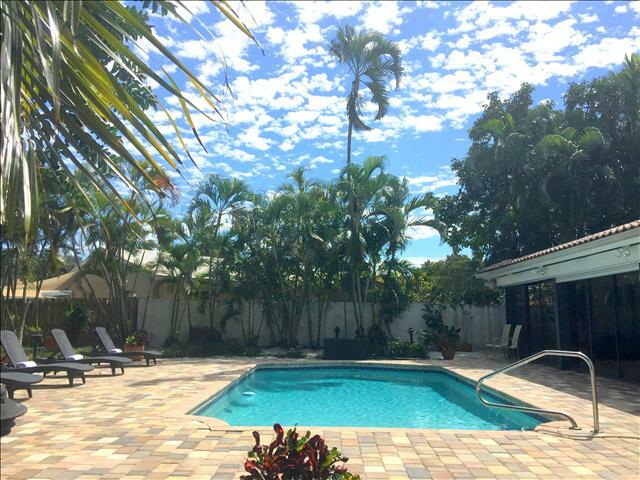 Casa Marina is situated in the picturesque, seaside, community of Lauderdale by the Sea and comes equipped with a key to access the private beach entrance that is situated less than two blocks from the home. Upon entering Casa Marina, you are greeted by a spacious foyer entryway revealing, from the moment you step inside this one level, single family home, a spectacular open floor plan featuring direct, unobstructed, views of both the outdoor heated pool lounge area and direct Intracoastal waterway. The main living area is both comfortable and spacious, offers floor to ceiling windows & doors overlooking the heated pool and Intracoastal Waterway and is equipped with two (2) full-size leather sofas, a comfortable reading chair and a 55 Inch LED High Definition Television. The updated granite kitchen, with custom wood cabinetry, is fully equipped with everything you will need while on vacation (glasses, coffee mugs, dishes, silverware, pots & pans, toaster, coffee maker, a spectacular margarita blender!!! etc.) and only requires you to bring food, beverages, and condiments. The open formal dining area offers seating for Eight (8). In addition to the main living area, Casa Marina offers a comfortable family area that offers a full size and separate love seat sofa. The Master Suite Bedroom (Queen Bed) is exceptionally private and features direct access to the outdoor heated pool and lounge area. The views from the master suite are nothing short of breathtaking and provide continuous entertainment as a result of the constant boating activity from the Intracoastal Waterway. The master suite offers two nightstands, a full-size dresser, a LED High Definition television and an en-suite, full size, bathroom equipped with a walk-in shower. Bedroom Two (Queen Bed) is both spacious, private and offers two nightstands, a full-size dresser and a LED High Definition television. Bedroom Three (Queen Bed) offers two nightstands, a full-size dresser, a LED High Definition television and a full size, en-suite, bathroom with a walk-in shower. Bedroom Four (Queen Bed) offers a LED High Definition television. Should you be required to catch up on some work while on vacation (hopefully you do not; however, should the office call, we do understand), there is no need to panic, as Casa Marina is equipped with WiFi throughout the home. 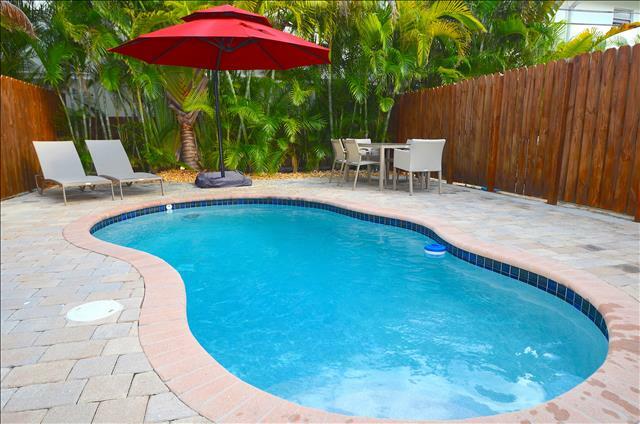 Casa Marina's Private Heated Pool & Lounge Area is the perfect place to spend time with family and friends. The lounge area offers covered dining for Six (6) and features poolside chaise lounge chairs overlooking the waterway. The lounge area is equipped with a new stainless propane BBQ. 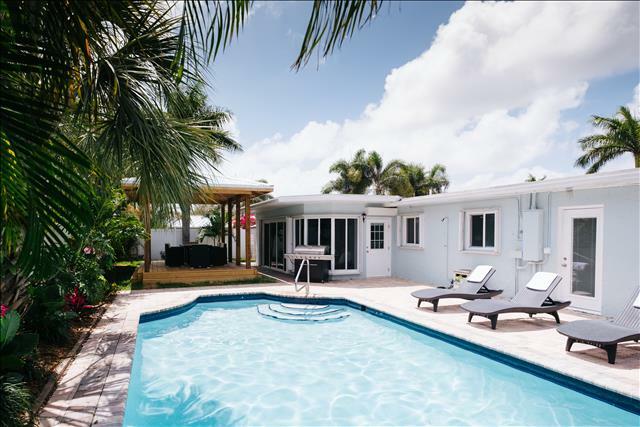 As previously stated, another spectacular feature that sets Casa Marina apart from virtually all other vacation homes is the fact the property comes equipped with a key to access the private beach entrance situated less than two blocks from the home. 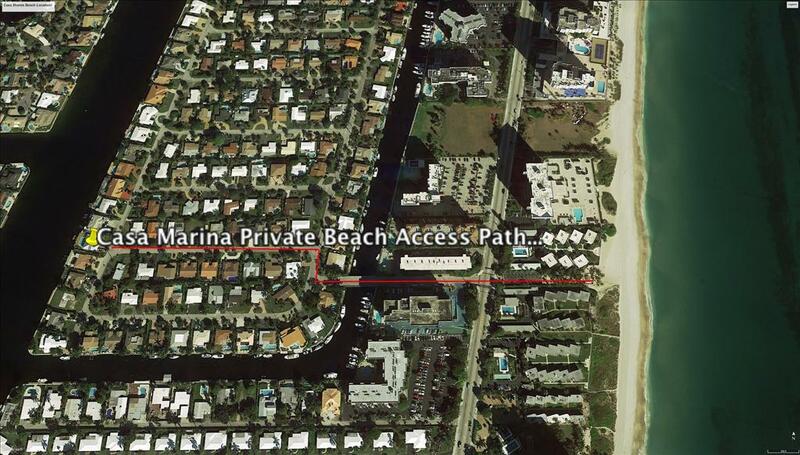 You do have the option of both walking, or driving, to the private beach entrance. The walk is less than five minutes and, should you be required to carry a large amount of items to the beach (trust us... we know), the drive is even less and there is private parking that is limited to the homes that offer the private beach access. This is a wonderful feature! 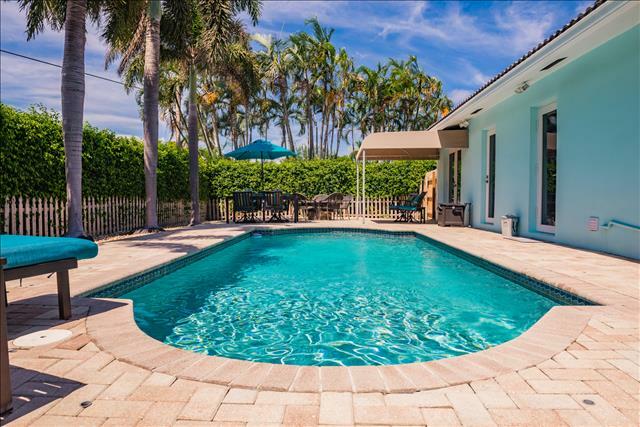 Casa Marina is a wonderful destination for individuals and families in search of a relaxing getaway with the convenient accessibility to the beach and everything Lauderdale by the Sea and the Greater Fort Lauderdale / Pompano Beach areas have to offer! Casa Marina is fully equipped with wireless internet, cable television and phone service. The home also provides additional linens, pillows and towels. An air mattress, pack-n-play, high chair, and stroller are available upon request. Please inquire with the management staff at By The Sea Vacation Villas for details. Note: Dock space not included in the rental. Got questions? Please contact our office at 954-771-7705. We had a great holiday. It is much more pleasant to live in a house than at a hotel. The property was very well and the pool was great for the youngest kids. The location was also quite perfect with...read more. Renter must provide a credit card and driver’s license at check-in. Renter must agree to a $1000.00 pre-authorized credit card security deposit hold. This is not a charge. It is a verification of funds and your bank will hold available credit back from use. The authorized credit card hold will be processed on check-in day or prior to the renter's arrival. Your bank will hold the funds for a period of thirty (30) days and will automatically release them back into your available credit if we do not place a claim. In the event there are incidental utility charges or damage to the property we reserve the right to claim the Security Deposit. We will not include this amount in the total rental charges since it is initially just a hold and not an actual charge. We do not guarantee or allow early check-in's requests. All locks are time sensitive and will not give you access prior to 4:00 PM. Guest should not expect to take occupancy sooner than times stated. Sometimes if a home becomes available early we will call or text you but no guarantee. If you do not receive an early call then proceed to the home at 4:00. Please note that the 4:00 check-in is not always guaranteed, in some cases, check-in may be delayed due to circumstances beyond our control. Rate adjustments credits cannot be made for late check-in or early departure. We will text or call you if we have changes in check in times. Private Beach Entrance, with key access for parking, is conveniently situated three short blocks from Casa Luna. 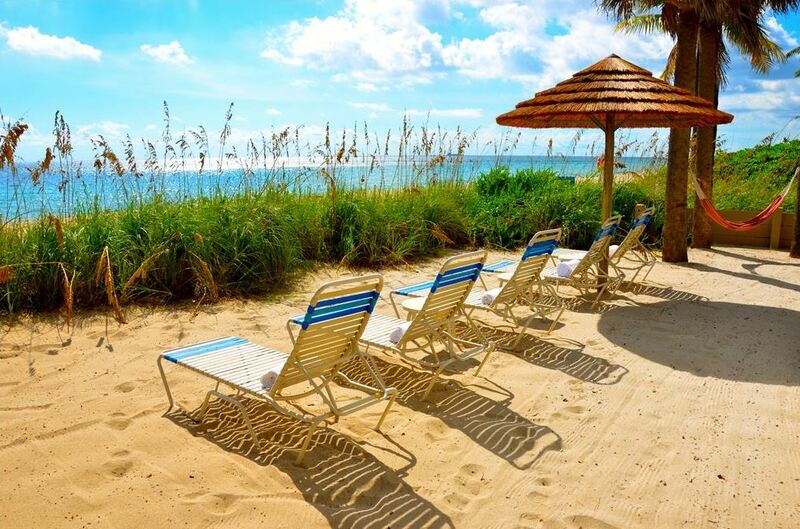 Pompano Beach (where Atlantic Boulevard meets the ocean) has been beautifully renovated with all new restrooms, lifeguard towers, a spectacular children's playground (including a water fountain play area) and offers private cabana rentals, is situated slightly over one mile from Casa Marina. The area offers ample parking and many options for dining, including Houston's, which is situated on the direct Intracoastal waterway. The public beach provides lifeguards 7 days a week from 9:00 am to 4:45 pm. All are welcome. Lauderdale by the Sea (where Commercial Boulevard meets the ocean) has been beautifully updated and offers pedestrians a wonderful experience by providing a new oceanfront pavilion, a new oceanfront lounge area with multicolored adirondack chairs and a multitude of first-class dining options, including Aruba Cafe, The Village Grille, 101 Ocean,Mulligans, Burger Fi. etc. Children will certainly want to visit Kilwins Ice Cream or Sloans Ice Cream, which are both excellent dessert options. The beaches in Lauderdale by the Sea are known for being wide and offer families a wonderful, relaxing experience. Anglin's Fishing & Observation Pier has been open since 1963 and offer patrons 24 a day accessibility. 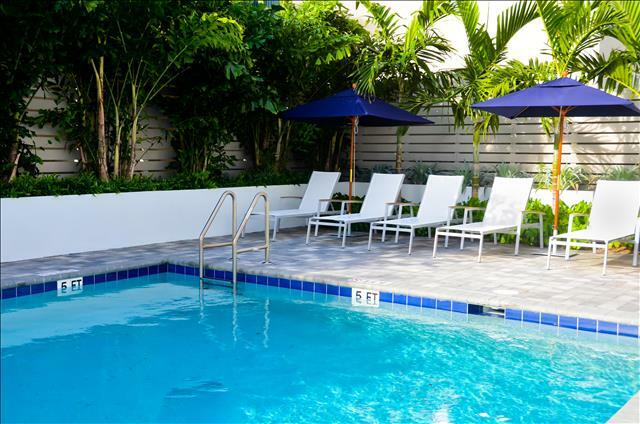 Casa Marina is located within, approximately, fifteen (15) minutes from Downtown Fort Lauderdale, including Las Olas, within, approximately, fifteen (15) minutes from downtown Boca Raton and within, approximately, forty (40) minutes from Miami and South Beach. In addition, there are a multitude of first class restaurants, shops and entertainment (movies, theater, music, etc.) within the immediate, surrounding, area.